Happy September! I hope you had a relaxing summer and are ready for all that fall brings. This is a busy and exciting time for ME! 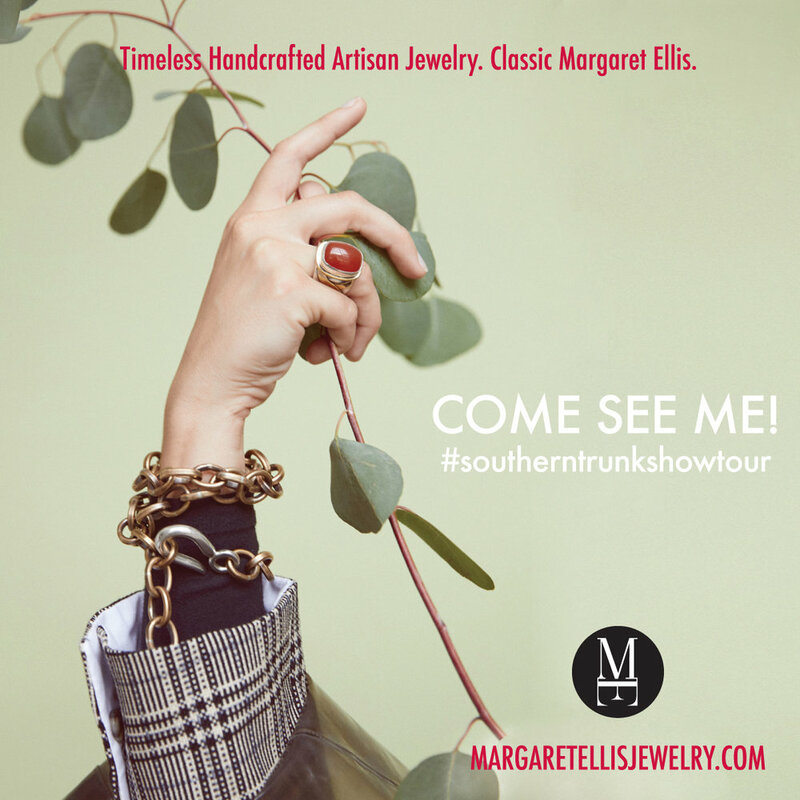 The new FUSION collection launches next week preceded by the first of ten stops on my Southern Trunk Show Tour. Please come see ME and send your friends my way as I bounce all over the southeast for the next 13 weeks. Spending time with you and seeing you wear and share ME is what keeps me going! This schedule has me and the jewelry out of the studio a lot, but all of the jewelry is online and I'm always a phone call or email away to assist in finding the perfect piece for you. We are loving our bright new Berry Hill Studio! I'm so appreciative of all of your support and encouragement this summer. Nothing about moving is easy! We still don't have our new door or sign installed (everyone in Nashville is busy!) along with a long list of other things we want to do, but we've quickly settled in and it already feels like home. Grand opening party plans are being finalized around some of these installations, so we hope to have details to share with you very soon. Our new couch arrived this week and the promise of cooler weather has us dreaming of leisurely chats on the deck, so please stop by anytime and give us an excuse to pop some prosecco. Your visits make our day!